This band is a professional live band covering a diverse range of popular music. Their experience and pedigree speaks for itself, involving musicians from Greater Manchester who have incredible talent and professional music industry experience. The band have years of touring experience and as a result can plan for your event whether it’s in the Greater Manchester, the other side of the country or the other side of the world have not been attempted yet but we welcome interest from customers who want to put the first Manchester musician on the moon. This band provide a whole host of performances from acoustic or lounge duos, trios to full party and events bands from four to nine piece (with brass section & additional female vocalist available). The band can also offer fill or DJ services for your event. This band is the right act for you, whether it’s club nights or cosy pub events, private parties, weddings or larger fundraising and corporate business events. The Band have performed hundreds of songs including indie, rock, soul and Motown, pop, punk, disco, jazz and acoustic styles. For example set lists please contact us. 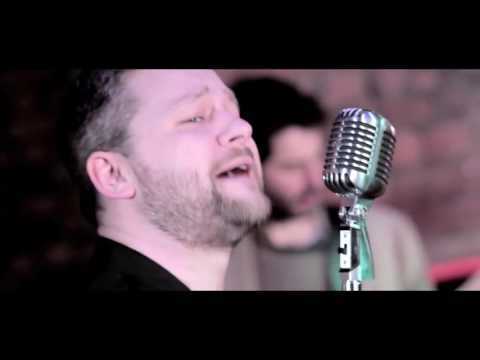 Vocalist and frontman for Manchester bands over the last 20 years, this artist has regularly played with the likes of Alabama 3, Ocean Colour Scene, The Bluetones, The Blockheads ,Manchester legends Elbow and 808 State. Versatile, powerful, engaging and is equally at home on at large events, festival stages, down & dirty clubs & lovely cosy pubs. A renowned drummer but can also play the violin, mandolin, spoons, nose flute, power tools. Bassist – Guitarist, french hornist, pianist, composer / arranger, teacher, conductor(orchestras not buses). He’s an all-round multi-trick pony with a wealth of experience in the music industry, having played with Badly Drawn Boy, Snow Patrol, Paul Heaton & Jacqui Abbott (Beautiful South) & Marillion (amongst others) and numerous orchestras in the North West. Guitarist – A Professional guitarist and tutor, this artist has been playing guitar for nearly 20 years. Having performed across Europe and the United Kingdom, the award winning guitarist is a bona fide shredder! He has also got a delicate touch and is a fine jazz and classical guitarist – he’s got it all covered. This artist has a wealth of live and recording experience playing for a range of bands including Jimi Goodwin (Doves), Plan B, Denny Laine, Tokolosh, Micah P Hinson, Paul Heaton, the Animals, Steve Cropper, The Earlies, King Creosote, Paul Heaton, I Am Kloot and Cherry Ghost to name a few. Lover of the Hammond organ, wizard of the keys, he is the real deal. And a whole host of professional musicians to meet your event needs. ADDITIONAL 45 minute set can be added please ask for a quote. Band can play beyond 12 am (if your venue allows this) but there will be an additional charge – please ask for a quote.